One of the biggest conversations surrounding the topic of aging is the aesthetic changes that occur along with it. The beauty sector is saturated with products to help women fight the signs of aging, but before that issue occurs there are still tons of products aiming to reduce pores, banish pimples and reduce oil. Basically, no matter what point a woman is at in her life, there’s likely some sort of skin issue she’s trying to combat or minimize. However, one thing that doesn’t get discussed in all the advertisements for these products is the other (major) supporting factors that go in to having the healthy and the “inner-glow” looking complexion every woman wants to possess. We’re not saying skincare products don’t work, but just like food, you’ll only get the full benefits if you do your preparation in the right way. In the case of cooking that means no frying and minimal butter/salt/etc., and with skincare that means a proper routine and healthy lifestyle habits. So if you’ve been combating your skin and feel like it’s a major dent in your self-confidence, or you just want to keep the signs of aging at a minimum the natural way, take a look at some of the things you may be missing. We promise, if you adopt these healthy-skin habits, not only will you enhance your complexion, you’ll be doing your body some major good! Everyone’s heard of the age-old myth that eating chocolate gives you pimples, but just because chocolate isn’t a culprit doesn’t mean other foods are ruled out. Some of the best nutritional components that go in to a glowing complexion are Vitamins A and C, as well as zinc. All of the benefits of these vitamins and minerals can be found in this article by Chris Kresser, a practitioner of functional and integrative medicine and founder of The Healthy Skeptic. In this article, Kresser discusses how each nutritional component affects the skin and what kinds of foods you can find them in (hint: whole foods, no processed stuff!). In addition to the food you eat, staying properly hydrated is also a huge factor in the appearance of your skin. Without proper hydration skin can be dry and flaky, which also reduces the skin’s elasticity making it more prone to wrinkles and a dull appearance. Cleansing your skin isn’t something left just to face wash. Exercise cleanses the skin from the inside by flushing away waste products and free radicals from skin cells. This cleansing is carried out by the increased blood flow that exercise brings, which also helps to nourish skin cells by delivering oxygen. Although, exercising doesn’t have any “detoxifying” effects, it does help to reduce stress, which also plays a big role in radiant skin. The sebaceous, or oil, glands in the skin are influenced by stress hormones, which is why bouts of stress can lead to untimely breakouts and irritation. Factors such as temperature and sun play a huge role in the health of our skin. The dangers of the sun don’t all need to be explained here, since it’s a topic that is well-documented, however wearing SPF can make all the difference in pre-mature aging. Find foundation and moisturizers with SPF so your face is always protected, and if you live in a warm climate where you often wear shorts or sleeveless shirts, use body lotion with SPF to provide extra protection when you’re out and moving between indoors and outside. If the majority of your day is spent outside, then it’s time to break out the higher SPF sunscreen. Also, for those that live in warm climates it’s important to wear clothing that is breathable to avoid skin irritation and clogged pores due to sweat. People who live in colder climates need to take care to heavily moisturize to avoid dry, cracked and chapped skin, as well as take moderately warm showers (not piping hot) as not to strip the body of moisture. Last but not least, having a solid skincare routine will ensure that you’re not skipping any vital steps your skin needs to stay vibrant and healthy. 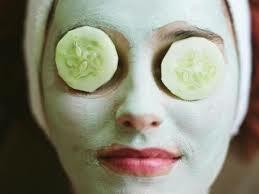 One of the first rules of thumb is to ALWAYS wash off makeup before bed. Sleeping with makeup on is one of the worst things you could do for your complexion (aside from smoking), and it gives your skin cells no chance to breathe. When it comes to selecting the right products for your skin, it may take some trial and error, but there are plenty of tools (we like this article from Paula’s Choice Skincare) and products out there that aim to work specifically for different skin types such as oily, combination, dry, normal and sensitive. Once you’ve determined your skin type, you’ll want to get a cleanser, toner, exfoliant and moisturizer that will work for you. Using a cleanser, toner and moisturizer twice a day is recommended and you should exfoliate one or twice a week. Everyone’s skin is different, so finding a routine and frequency that works for you will be key to not stripping the skin of natural, healthy oils. Aside from these steps, also keeping your hands away from your face, resisting the urge to pop blemishes and rinsing your face after a sweaty workout will keep bacteria from settling in pores and causing skin irritation. Of course, there are a multitude of skin issues such as chronic dryness, rosacea, psoriasis, to name a few, however you may find that making a few changes will make a huge impact on the way your skin looks in addition to the way you feel. Not to mention, you may find yourself saving tons on products you spend in a effort to cure or prevent various skin issues. Sometimes nature and healthy habits are the best medicine.